Ok, so it won't make you dance better, look better, make more money (possibly though??) 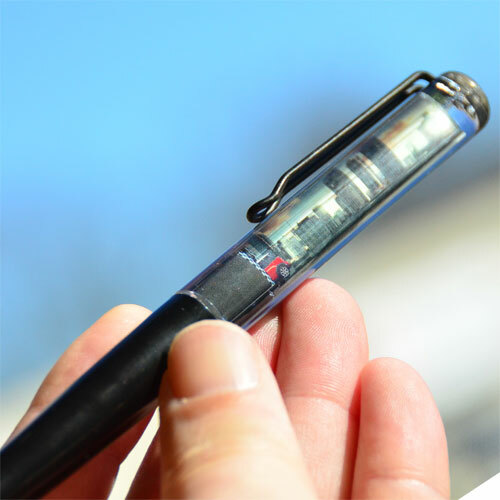 or suddenly make you lunch but it is a great looking MINI pen that will likely make any writing task more enjoyable. Just the MINI logo alone is worth a few smiles. We don't recommend taking a pen into battle. Unfortunately the old saying that the Pen is mightier than the sword is actually a bold faced lie.